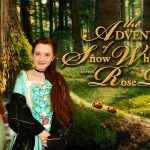 Episodes of The Adventures of Snow White and Rose Red were filmed this week on locations in the Capital Region including Skidmore University. Media was invited to visit the Skidmore set on June 13 and June 14 in Saratoga Springs to meet the cast and interview the film’s executive producers Andrew Balog, Katie Spass and Nicole Coady. Here is a roundup of some of the press coverage. News10 shares more behind-the-scenes action about this show, aimed at young children, that will be released direct to Amazon early 2018. You can listen to this National Public Radio interview by Lucas Willard on WAMC here. In this interview you will learn more about the actresses Demetra and Callista Zorbas, who are sisters in real life, that are playing the sisters Snow White and Rose Red. Coady also talks about the importance of having the ability to have full control of this content. Executive Producer, Andrew Balog, also has a distribution company that will facilitate the distribution of the show to Amazon Prime in 2018. 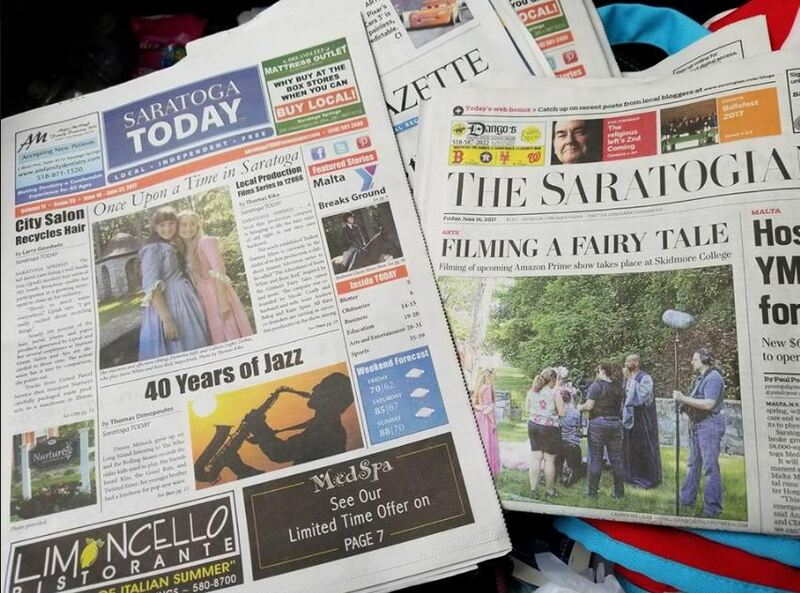 More wonderful Saratoga Springs, NY media coverage . . . FRONT PAGE! Episodes will continue to be filmed through July 1. To visit the set or to schedule an interview with one of the Executive Producers email media contact Kim[at]MarketingKangaroo.com.